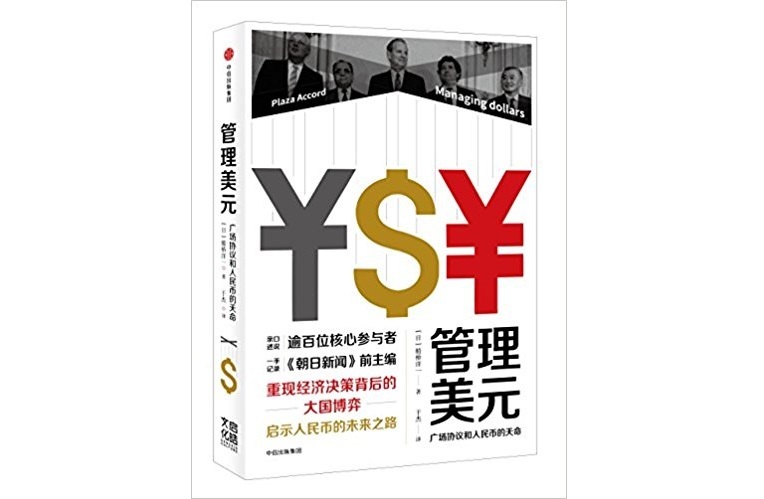 The Chinese version of “Managing the Dollar” written by Yoichi Funabashi was published by CITIC Press in China. “Managing the Dollar” was published by Asahi Shimbun in 1988, when Chairman Funabashi was a journalist at the Asahi Shimbun. The book revealed the behind-the-scenes international currency diplomacy from the Plaza Accord, agreed upon by the G5 in New York in September 1985 to coordinate a weak US dollar and a strong yen, until the Louvre Agreement agreed upon in France in February 1987, changing course once the stability of the currency system had been ensured through a depreciated dollar. The book was highly praised and received the Yoshino Sakuzo Prize in 1988. This book from 30 years ago was translated into Chinese and published in China now because, like Japan at that time, China currently has a huge trade surplus with the US and it is being pressed to reduce the surplus by President Trump. China is facing trade frictions with the United States, and it may be required to appreciate the Chinese Yuan. Therefore, the opportunity to learn lessons from Japan’s experience is growing and it is receiving strong levels of interest from readers in China.